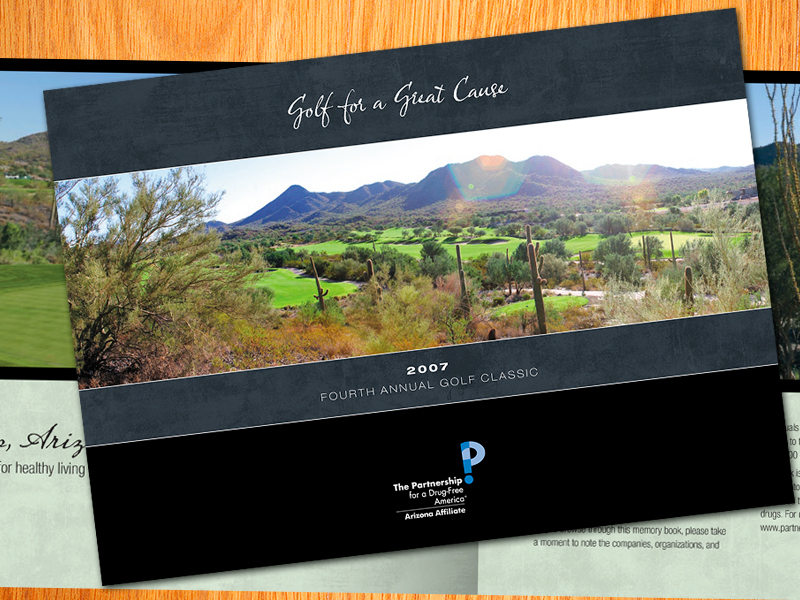 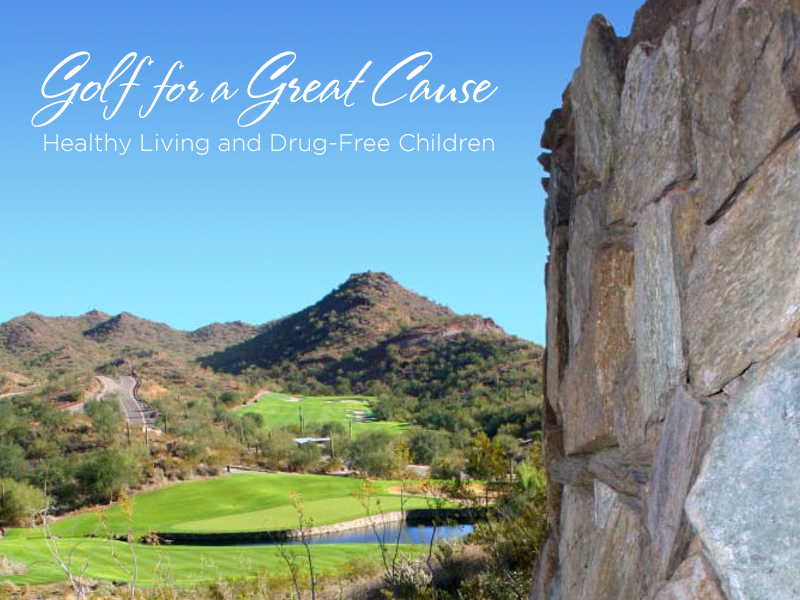 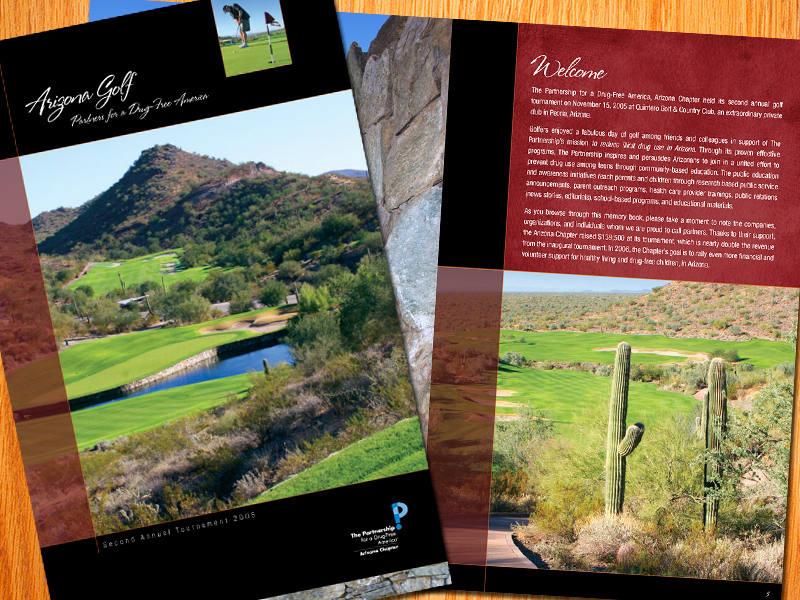 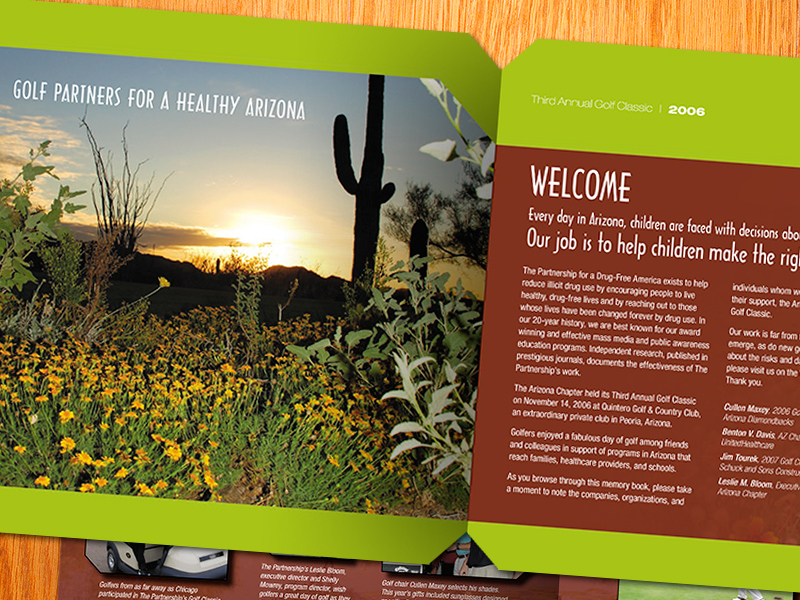 Golf for a Great Cause - Commemorative booklets for the Partnership for a Drug-Free America. 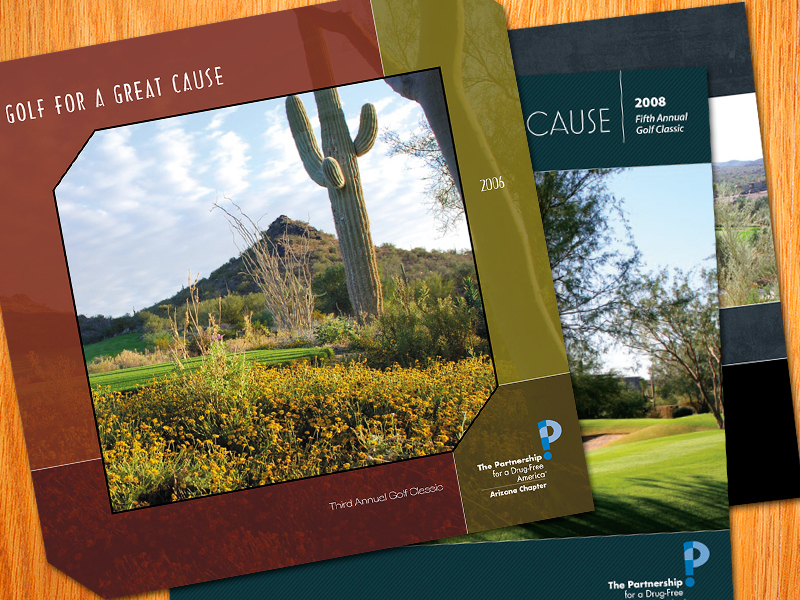 The booklets were handed out to each participant in the charity golf tournament. 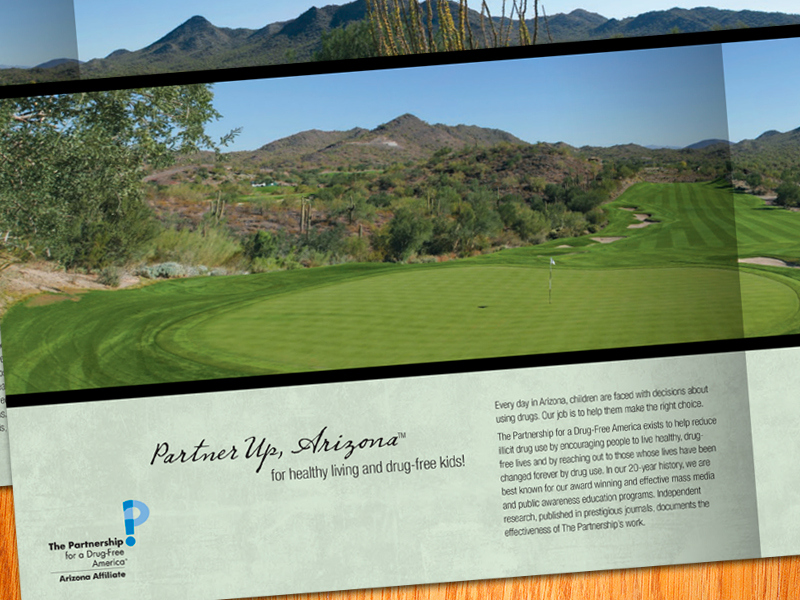 Golf for a Great Cause - Commemorative booklets for the Partnership for a Drug-Free America. 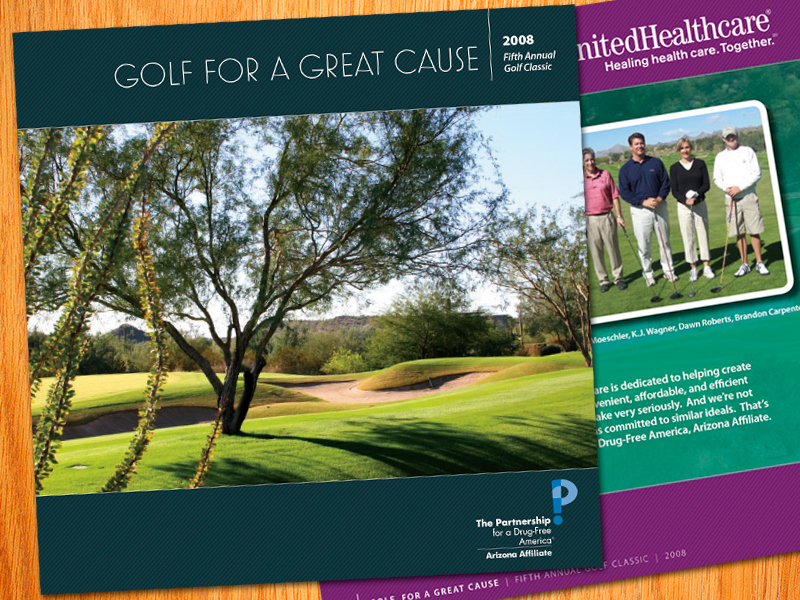 The booklets were handed out to each participant in these charity golf tournaments. 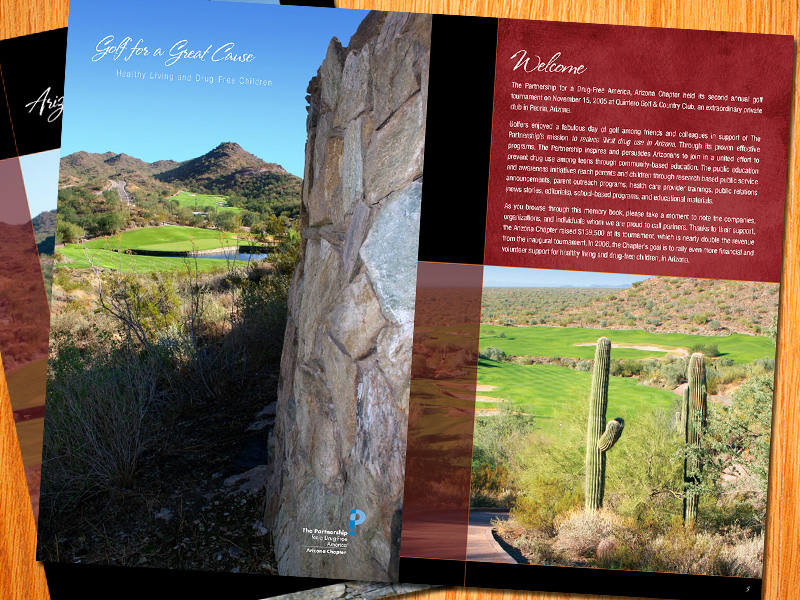 Art direction graphic design, photography and production by Ed Green.